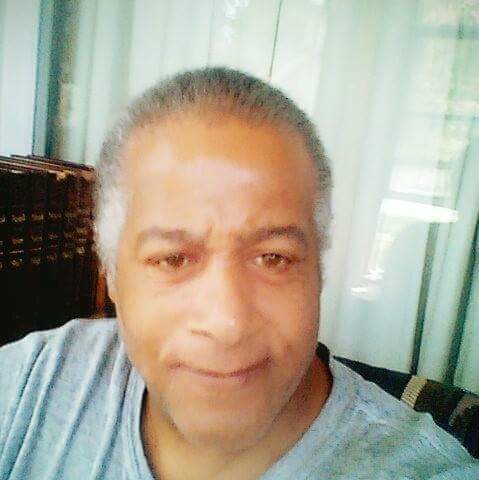 Mark Anthony Scott, 62, of Kalamazoo, passed away Thursday, February 7, 2019 at his home. He was born August 21, 1956 to Malcolm, Sr. and Jeanine (Johnson) Scott in South Haven. Mark graduated from Tabb High School in Tabb, Virginia. He later worked as an artist and enjoyed drawing and painting. He is preceded in death by his father and a brother – Eric Scott. Mark is survived by his children – Anthony Gordon, Anthony Lyle, and Miranda Scott all of Kalamazoo, mother – Jeanine Scott of Bloomingdale, brother – Malcolm Scott, Jr. of Hutto, Texas, and special friend/companion – Rhonda Coleman of Kalamazoo. Visitation will be held from 12:00 PM to 1:00 PM on Saturday, May 4, 2019 at the Emmanuel Community Church in South Haven. Memorial services will follow the visitation at 1:00 PM. There's still time to send flowers to the Visitation at the Emmanuel Community Church from 12:00 PM to 1:00 PM on May 4, 2019.